When the boat turned over, Mahabad Ismael struggled to get to the surface. When she did, she found her husband, Issa, and her 12-year-old son, Abdullah. Her other four children were nowhere in sight. "My boy started crying: Where are they? They died. They died. No, I said, they are alive. They are around," she recalls. But he didn't believe her. From the shock of what had happened, he started shaking and eventually drowned. She couldn't save him. Then she saw all members of an Afghan family die one after the other, their bodies floating around her. Then the waves swallowed a Kurdish man called Mohammed. And then her husband, Issa. She was left all alone in the darkness, fighting for her life amid a stormy sea. Mahabad spent 28 hours in the water off the coast of the Turkish town of Karaburun, praying and thinking of her dead children. She was the sole survivor of a boat of 35 people - Syrians, Afghans and Iraqi Kurds - who had tried to reach the Greek island of Chios. Dressed in black and sitting in the guest room of her relatives' home, Mahabad speaks with difficulty of the tragedy that took her whole family on October 9. She takes long pauses but does not cry. "It is a miracle I survived, it is what God ordained," she says. Eventually, sea currents pushed her to the shore, where she found the strength to pick herself up and start walking. She tried to wave down cars passing by but no one would stop. She tried knocking on doors, but no one would open. Finally, two Turkish men walking a dog saw her and tried to help. Still wearing her lifejacket and dripping wet, she was taken to the local gendarmerie and then to hospital where doctors took care of her swollen body. She later found out that a few bodies had been recovered from the shore. With a heavy heart, she went to the morgue where she recognised her husband, her eldest son and the Afghan lady and her husband who had been on the boat with them. 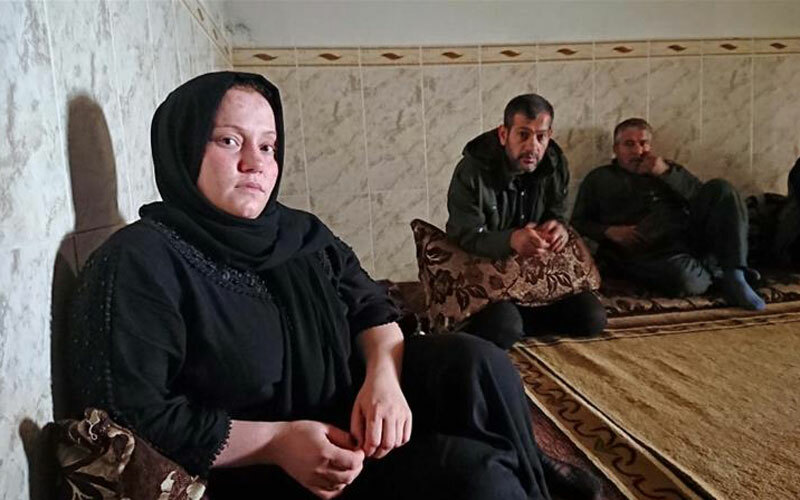 A few days later, relatives came to take her and the two bodies back to her village of Dashtmere near the Iraqi Kurdish town of Zakho. Apart from her family, 13 other Iraqi Kurds died on that boat. Zakho is a relatively prosperous town, with many families working in trade and transportation linked to the nearby Ibrahim Khalil border crossing between Turkey and the Kurdish region, the main gateway for the billions-worth of Turkish goods that Iraq imports. Like most Kurdish cities, it remained relatively safe and stable during the advance of the Islamic State of Iraq and the Levant (ISIL, also known as ISIS) and the subsequent war effort to dismantle it. For the decade and a half since the 2003 US invasion of Iraq, the Kurdish region prospered, its residents enjoying a much higher standard of living than the rest of the country. Yet over the past four years, large numbers of Iraqi Kurds have attempted the dangerous journey to Europe. The Kurdistan Regional Government (KRG) currently does not release official statistics on legal and illegal emigration, says Abdel Majid Shoukri, the head of the office of the Ministry of Migration and the Displaced in Dohuk Province, where Zakho is located. "I think the government doesn't publish the statistics because it doesn't want to encourage young people to emigrate or to despair them," he says. In his estimate, thousands of Iraqi Kurds leave each year using human smuggling channels through Turkey to Europe, and hundreds die along the way, killed by the sea, harsh weather, or by the smugglers themselves. According to Barzoo Eliassi, Associate Professor at the Swedish Linnaeus University, between 2003 and 2013, the economic prosperity of Iraq's Kurdish region encouraged many Kurds who had emigrated before to come back. But the political disputes that started between the KRG and Baghdad starting in 2013-2014 and the drop in oil prices gradually worsened the economic situation. A lot of major infrastructure projects were put on hold and foreign investment decreased, while the government cut the salaries of state employees. But apart from the Erbil-Baghdad dispute, part of the blame for the deteriorating socioeconomic situation in the Kurdish region should also be put on the Kurdish political elite, says Eliassi. "In Kurdistan, we have two parties, which, like parties in the rest of the Middle East, are run by two families [who] rule everything. They rule the economy, the military, [...] the institutions and so on," he says. "The wild corruption in the Kurdistan region has made many people frustrated." In his opinion, the 20-year-old power-sharing agreement between the Kurdistan Democratic Party (KDP) and the Patriotic Union of Kurdistan (PUK) has limited access to resources for people who are not directly affiliated with the two parties. In this regard, however, the Kurdish region is no different from the rest of Iraq, where some of the regions richest in oil, such as Basra, are also the poorest and most underdeveloped, Eliassi points out. "The political elite in Iraq is [so] corrupt that it has made many, particularly in our part of Iraq, yearn for Saddam [Hussein's era]," he says. 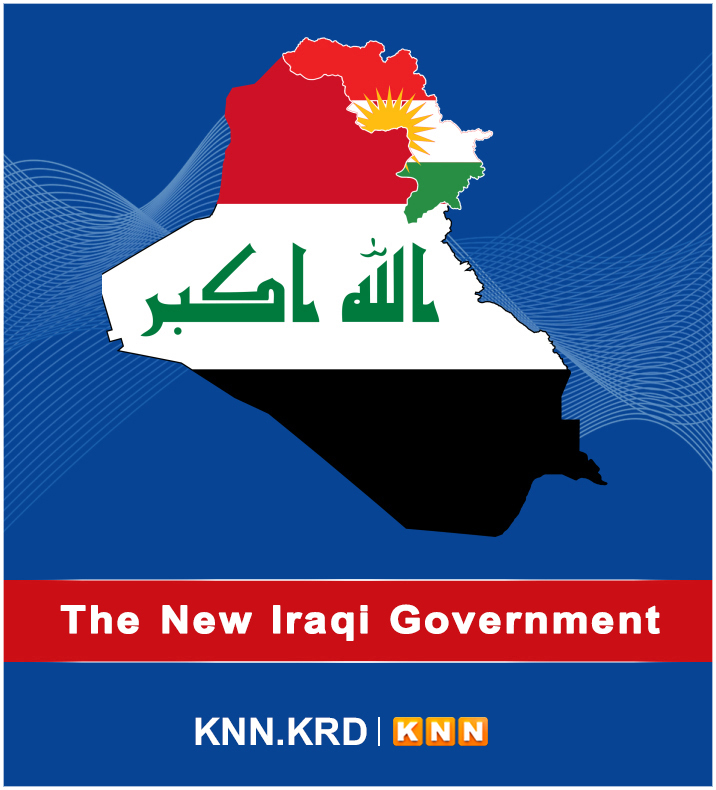 Last year, after the independence referendum conducted by the KRG, the Iraqi central government imposed an air blockade on the Kurdish region and cut its share of the country's budget, which exacerbated the KRG's economic woes even further. This inevitably affected the region of Zakho. It was the family's worsening economic situation that ultimately pushed Issa, Mahabad's husband, to take the decision to leave for Europe three months ago. To provide for his family, he had been running an electric generator and selling electricity to other residents of their village during the long hours of blackouts which Iraq suffers from on a daily basis. When the cost of running the generator went up and the money was no longer enough to secure the future of his five children, Issa started thinking of emigration. Both he and his wife have relatives in Italy, Germany and the UK, who they were hoping could help them once they reached Europe. The smuggler who arranged their trip was a man called Nazir, a German citizen originally from the Zakho area, Mahabad says. They paid $2,500 a person for their family of seven; to raise that much money, they had to sell their house in Dashtmere. After they travelled by plane to Istanbul, Nazir took them to Karabunu, near the city of Izmir, where they stayed three days. Just before boarding the motorboat that was supposed to take them across the sea to Chios island, Mohabad and Issa changed their mind and decided to go back to Iraq. Nazir, however, convinced them that they had to go after having spent all this money to get to Izmir. Half an hour after they left the shore, the boat started filling with water. Issa called Nazir twice asking him to either come and get them or call the Turkish police. Both times the smuggler said he would do that. But no one came to their rescue. Eventually, the boat ran out of fuel and a big wave turned it over. "May God curse him. I would kill [Nazir] if I see him in the street. I lost my whole family in the sea because of him," says Mohabad. "If he had just made one call to the police, they would have been alive today." Now, Mohabad spends her days hoping and waiting for the bodies of her four children to be retrieved so she can bury them and find some closure.